Washington’s system has problems; proportional representation has solutions. Proportional representation makes more votes count and keeps elected officials connected to what voters want. Voters across North America feel their votes don’t matter and wonder if the system is rigged. This fall, voters in BC will have the chance to upgrade their democracy by switching to proportional representation—a form of voting where more voters have more choices and the legislature more fairly represents the voters. Washington could make the switch to proportional representation, too. The Washington state legislature, like the US Congress and other legislative bodies across the United States and Canada, does not proportionally represent the voters. Voters who aren’t in the majority in their district just don’t get an elected representative with a seat at the table. Progressives in rural districts that are “safe” for the conservative candidate and conservatives in urban areas that are “safe” for progressive candidates don’t stand a chance. As a result, the state legislature is unmoored from Washington voters. Proportional representation makes more votes count and keeps elected officials connected to what voters want. 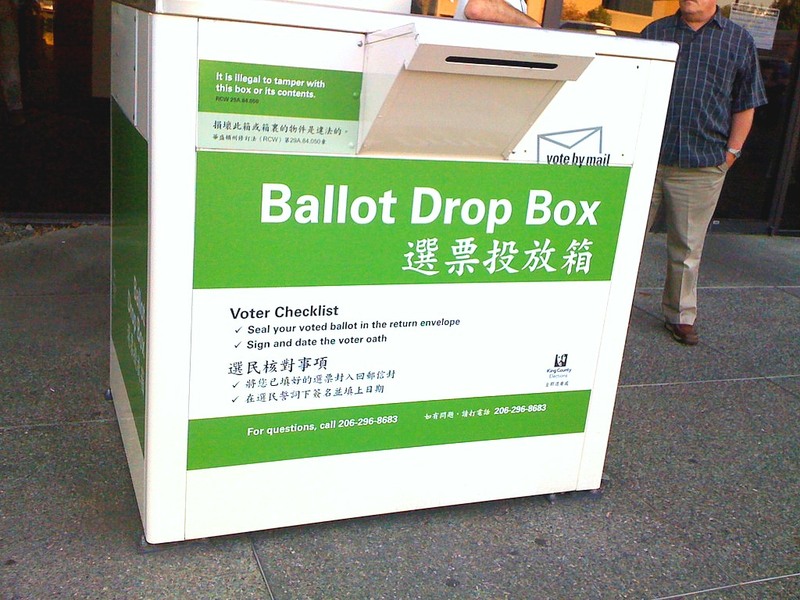 New Zealand used to vote like the United States and Canada, but it switched to proportional representation in the 1990s, resulting in more competition for the two major parties and more robust competition in the marketplace of ideas, with candidates discussing more specific solutions than they had previously, and the media covering substantive issues three times more often. In addition to covering issues more, news media covered candidates’ personal characteristics less. Politics switched from being about who had the best clothes or height or hair to being about which candidate had the best ideas and the best solutions for voters. It also led to more people of color winning seats, and more women in the legislature and in leadership positions. Problem: Voters don’t have as much voice as they should in electing their legislators. Washington voters turn in ballots at slightly higher rates than average in the United States, but low levels for democracies around the world. A main reason is that many prospective voters feel their views aren’t represented, so why bother to participate? For example, state legislators are predominantly only Democrats or Republicans, but more Washingtonians consider themselves Independent or unaffiliated than consider themselves part of either of these parties. Each year, tens of thousands, and sometimes hundreds of thousands, of Washington voters choose Libertarian candidates, yet Libertarians have no voice in the legislature. About 90 percent of legislators are white and about two-thirds are men. That’s grossly out of balance with the 30 percent of Washingtonians who are people of color and half who are women. Solution: Give more voters more choice and more voice. The only real solution to this lack of representation—and the lack of voter participation that results—is for candidates to run together for multiple seats. In this form of elections, voters would see more options on the ballot, would be able to vote for or rank more than one candidate, and would be dramatically more likely to have voted for at least one candidate who won a seat in the legislature. Proportionally elected legislatures more accurately reflect the ideological preferences of voters, including voters who prefer independent or third-party candidates. So instead of voters who are in the minority virtually never getting a representative in office who shares their views, if 30 percent of the electorate supports candidates with a particular view, then roughly 30 percent of the seats in the legislature will be held by people representing that view. Or if 20 percent of the population favored green party or libertarian candidates, then about 20 percent of the legislature would be green or libertarian. When there are only two major parties, candidates from each party try to make the other look bad so voters will vote for them out of disgust with their other option. Or parties can just depend on district lines to make seats “safe” for themselves. They don’t have to compete on the quality of their ideas or on their track record of implementing solutions. Society is complex and diverse, yet the voting systems doesn’t give us a diversity of candidates to choose from. The current system narrows the range of ideas and solutions available to voters and allows the two parties to fight each other instead of fighting for the people. Solution: Grease the gridlock with competition. By allowing candidates outside the two major parties to run and win with only a minority of votes in a district, proportional representation gives voters more choice and forces major party candidates to listen to voters and try to win them over. A Democratic candidate will no longer be able to coasting to victory just because progressive voters won’t vote for her Republican opponent; instead, she’ll have to show voters why she is a better choice than the Social Democrat or Progressive Party or independent candidates. Same thing for Republicans who will need to convince conservative voters to choose them over Libertarian, Tea Party, or independent candidates. Legislators from the two major parties won’t be able to block all legislation, or pass wildly unpopular legislation and expect to keep winning seats. Instead, they’ll have to listen to their constituents, work with their colleagues, and craft durable policy solutions that meet the needs of more voters. Problem: Even a bipartisan redistricting commission can gerrymander. The commission might gerrymander it intentionally. For example, the Democrats and Republicans on the redistricting commission might horse trade to create safe districts that protect incumbents for both parties from competition. More than 85 percent of Washington state house incumbents face no primary challenger, meaning voters in those districts have no choice in who represents them. Washington voters overall lean Democrat, yet the 2011 redistricting helped Republicans control the state Senate from 2013 (the first election after the redistricting) through November 29, 2017. Or they might gerrymander unintentionally, because voters have self-sorted into urban and rural areas. Solution: Make votes matter more than district lines. When only one candidate per district per race can win a seat, the exact details of the district matter a lot—putting one cul-de-sac in or out of the district line might mean the difference between 49.5 and 50.5 percent of the vote, tipping the balance from 0 percent of the representation to 100 percent of the representation for the whole district! It’s this all-or-nothing, slim-margin fragility of single-winner districts that makes them vulnerable to gerrymandering. Proportional representation ends the all-or-nothing, winner-take-all problem. Electing more than one candidate in a single race from the same district can take the teeth out of gerrymandering. When, say, five representatives are elected all at once, voters of all stripes will have a chance to choose at least one winner, making it more difficult for the districting commission to flip a whole district from one party to the other with the flick of a pen. In a five-winner district, the threshold of exclusion (explained here) is 17 percent, so the redistricting commission can only silence a group of voters by cracking them to be less than 17 percent of the district’s electorate. Problem: Special interests have too much influence. Voters are fed up with the amount of influence that big money and corporate lobbyists have in government, yet neither major party has made quashing special interest influence a major plank of what they stands for. If the voting system let candidates outside the two major parties win, individual candidates or minor political parties focused primarily on lessening the power of big money could run for office and start to rectify the situation. Solution: Giving voters the chance to elect candidates who will change the rules and limit special interests’ influence. As it is now, both major parties must raise money from big money interests, meaning neither can really challenge those interests’ role in elections. But by giving independent and minor-party candidates a chance to win, proportional representation not only gives reform a voice in the legislature, it puts pressure on the major parties to respond more to voters than to donors. The proof is in the pudding: countries with proportional representation pass policies that help regular people, while countries that vote like the United States are more likely to pass policies that benefit corporations and the wealthiest. Problem: Candidates need to be rich or connected to wealth to be able to run. In Washington’s winner-take-all elections, a candidate must convince more than 50 percent of voters in the district to vote for him. That almost always means being affiliated with one of the two major parties, and raising enough money to run TV ads that can reach most voters in the district. To pay for those ads, he either needs deep pockets or access to friends and colleagues with deep pockets. The two major parties often pick candidates based on those individuals’ ability to raise money. Solution: Give less-wealthy but popular candidates a chance to win. In, say, a five-winner district, a candidate only has to convince 17 percent of voters in the district to choose him. Rather than blanketing the district in ads and poll-testing his message to make sure it appeals to the majority, he can target his people—that 17 percent of the population that has been waiting for a candidate who shares their views. He could use community networks to reach his niche of like-minded voters, rather than throwing gobs of money at TV ads. Of course, Washington needs to take additional actions to reduce big money’s influence on policy, but proportional representation can help. Other countries with proportional representation are able to pass policies that go against big money interests, including tax codes that do more to combat inequality, regulations on marketing to prevent childhood obesity, and protections against climate change pollution. In a series of articles this week, I describe options for Washington to adopt proportional representation without a constitutional amendment, and options for Washington to truly overhaul state government if it were able to amend the state constitution. I like the idea of multi-member districts electing legislators via proportional representation, presumably the single transferable vote. But achieving that for the state senate requires an amendment to the state constitution, and perhaps for the house also. Please give us your best scenario on how we could practically implement this form of PR in Washington state. In divided power governments like the US federal and state governments, political parties became necessary to avoid political paralysis. Those who wrote the US constitution were opposed to political parties. They did not want to think they were forming parties in order to get majorities for legislation, but that is exactly what they did. How would proportional representation solve the problem of building legislative majorities? If more parties were represented in Congress and state legislatures, would that not make it more difficult to pass legislation? I second the request by RDPence. The big problem with above article is that it avoids the biggest obstacle to democracy, which is party control of the electoral system. Nearly all those supposedly wonderful countries that have so-called proportional representation have a party gate-keeper system of only allowing party list candidates to benefit from proportional election. The single transferable vote allows all candidates to benefit equally from a proportional count, without having to be on some privileged party list. Politicians don’t tolerate this competition, as 3 rigged BC referendums demonstrate. A Snohomish County chapter of FairVoteWA is being organized this Thursday, June 21, at 8:00-9:30 PM at Mukilteo City Hall, 11930 Cyrus Way. I don’t know much about the organization, but it sounds like they are working for the PR cause. Excellent article with which I agree completely. A petition drive should be initiated to put “Proportional Representation” on the ballot as soon as possible. I live in Seattle.